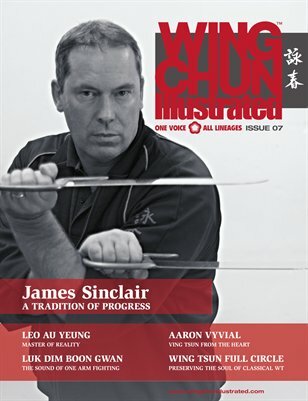 Issue 7 of WCI features James Sinclair on the cover. Sifu Sinclair founded the highly successful UK Wing Chun Kung Fu Association in the mid-eighties. He pioneered in bringing Wing Chun to the UK in the 1970s, when the system was barely known outside of Hong Kong. For a complete table of contents, please visit our website.